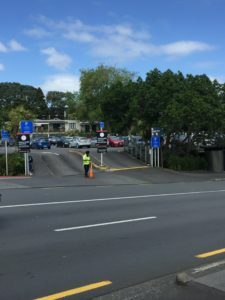 Clonbern Road Upper Level Carpark – Weight Restriction – Remuera Residents Association Inc. The carpark is nearing its design life and due to its durability issues the structural capacity is being compromised. The carpark is monitored and this will continue on a monthly basis. Signs have been replaced requesting larger vehicles such as ‘SUV’s and commercial vehicles to NOT PARK on the upper level. The signs are to provide examples of what is generally over the weight limit but any type of vehicle over 2000kg should not be parking on the upper level. Overloading the structure places it under greater stress and there is a real risk that continued long-term use by heavier vehicles on the upper level will result in the carpark having to be closed. Safety is AT’s priority and they are taking all necessary measures to manage risk associated with the car park. Auckland Transport (AT) understands how important the carpark is to the users using Remuera town centre. Please assist us to keep the Clonbem Rd carpark open for as long as possible. UPDATE: 7 November 2018. Temporary closure of the upper story of the car park in Clonbern Road as engineers spend the next few days examining the structure. There has been further risk identified that makes this necessary. The bottom level will remain open at present but may be required to be closed depending on findings.